The Caribbean country of the Dominican Republic (DR) borders Haiti on the island of Hispaniola. Despite a tumultuous history, the country boasts the strongest economy in the Caribbean/Central American region, due in large part to tourism. Each year over 6 million tourists flock to the white sands, swaying palms, and crystalline waters of the DR, making it the most visited destination in the Caribbean. Running in the Dominican Republic is somewhat challenging, given the prevalence of resorts in the most visited areas and the lack of quieter coastal roads. But there’s plenty of beach running accessible to the public and some nice coastal paths (Malecón). 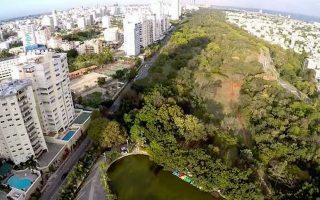 In the capital of Santo Domingo, while streets are narrow, hilly, and cursed with traffic, there is good running in the Mirador linear park and the splendid Botanical Gardens. 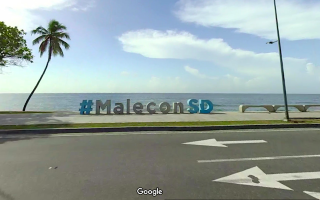 There’s also an extensive coastal boardwalk (Malecón). 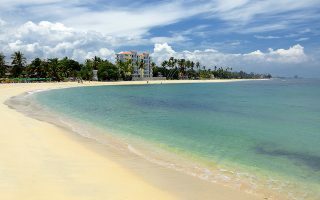 Of course, the beaches are a big attraction in the DR — and while the sand is softer, it’s generally runnable close to the water and near low tide. Favorites include the area between Playa Guayacanes and Playa Real east of Santo Domingo. 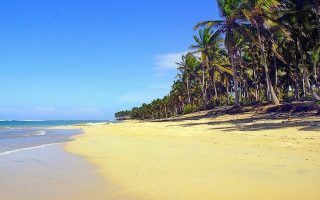 The most popular tourist area in the DR is Punta Cana, the easternmost point of the island, where we’ve also researched some of the best beach running spots. 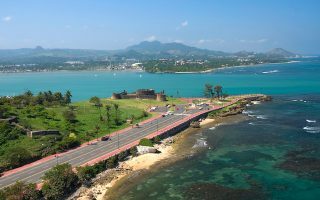 Further north in the popular resort area of Puerto Plata, there’s a lovely coastal path that leads to Parque La Puntilla. 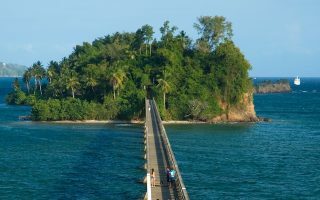 Samana, another popular destination in the DR, has a wonderful run around the bay including a series of pedestrian bridges. No matter where you run, it’s best to go early in the morning and bring plenty of water in order to beat the strong sun and tropical humidity. If traveling around Santo Domingo, the ever-expanding metro service is a good way to get around the city. Otherwise, públicos, passenger cars that follow a set route along main streets function similar to busses. The most brave of travelers get around via motorcycle taxi, but these are impractical for longer trips. If you’re staying at a hotel or resort, many have their own transportation services which are the safest and most reliable option. Note: Crime is a concern in some areas of the Dominican Republic. When running, stick to open public areas and, if possible, bring a friend! The most popular spot for running in Santo Domingo, Mirador del Sur is a 5.5 km linear park which is closed to vehicle traffic during peak morning and evening hours. Oceanfront walkway on the coast of Santo Domingo offering up to 10 km of running (one way). Access anywhere between Nordessa II and Playa Montesinos. 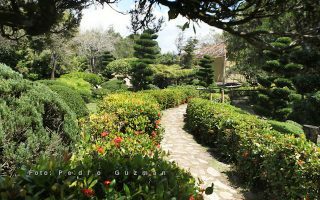 These botanical gardens in Santo Domingo are considered some of the best in the world. A loop around is about 5.5 km. Pay to enter. Punta Cana is the top spot for beach-going (and beach running!) in the Dominican Republic. Firmer sand can be found at low tide and near the water. Here is our guide to the best spots that are open to the public, and how to access them. 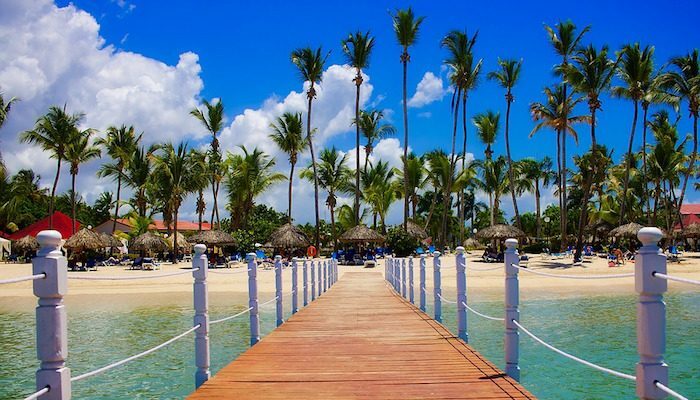 This waterfront sidewalk lines the beaches and resorts of Puerto Plata, leading out to the scenic Parque La Puntilla. 8 km out and back. One of the better off-road running options in the DR. This public beach about an hour east of Santo Domingo offers about 8 km of good beach running between Playa Guayacanes and Playa Real. This tour of charming Samana uses the long waterfront malecón to connect to the colorful shops of Pueblo Principe, then takes a jaunt out along the pedestrian "bridge to nowhere" connecting three islands. The Dominican Republic is blessed with a tropical climate year-round. Temperatures are fairly uniform, with average highs in the high 80s to near 90F (32C) and nights in the upper 60s to low 70s (20-22C). It is best to run early or late! 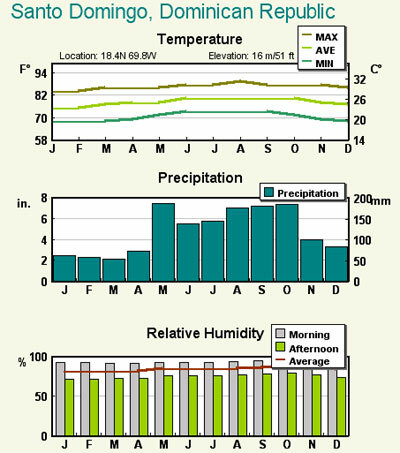 Note that it’s also fairly humid all year. Precipitation can happen at any time of year in the form of downpours, but May to November are the rainy months. Also, the DR’s location close to the equator means day length does not vary much throughout the year. Most visitors to the Dominican Republic choose to stay in the resort areas of Punta Cana or Puerto Plata. For a taste of the cosmopolitan, stay in the capital city of Santo Domingo. For accommodations information, visit godominicanrepublic.com. Santo Domingo is the main shopping area in the DR. Here you will find stores like GoRun, Runner’s Shop, and Sportline America. There is also a Nike store in Punta Cana. Check out upcoming races in the Dominican Republic here.